Discussion in 'PS4 - News' started by m0nadpr0xy, Feb 7, 2019. 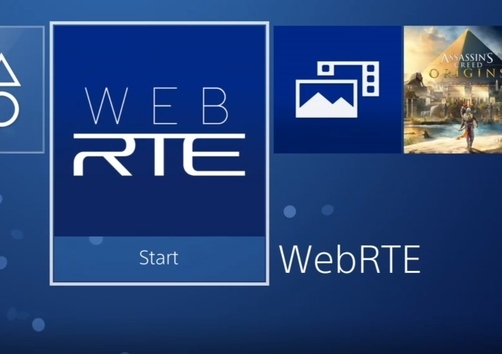 Around a week ago @TylerMods released the PS4 Web Trainer into the wild of the PlayStation 4 hacking and homebrew scene. Two days @TylerMods has released a Web Trainer Runtime Environment PKG and the Payload .bin file (so you can host it yourself on your web server/exploit page). How to use? According to the instructions provided you simply install the PKG on your PlayStation 4 and launch it after running HEN. So of course it has to be activated everytime you start/restart your PS4 like all PS4 exploits. [email protected], sonykids, Crafiss and 227 others like this. it always gets better! i think it could be useful also to add a function to recognize the cusa version of the installed game. thanks for your job! Hi everyone, please keep an eye on the changelog page on PS4Trainer for updates to the payload as well as the trainer. This is good really, it keeps getting better, but shouldn't this have it's own Discord Channel? Where people can submit bugs and errors. because it does work on some games but most cheats doesn't work (maybe it's just me) games like : God of War, Watch Dogs 2, Need for Speed, AC Unity and more. Wilhelm Laitamaa, Waseem Attari and VonCunz like this. Thank You! I'll be checking the channel from time to time, thank you for your hard work. Hi there quick question when i select certain games like kingdom hearts trainer controller just keeps loading on the screen is am i doing something wrong other games work thou thanks for the hardwork reminds me of the gameshark and code breaker days i wish sony would learn from people like yourself and let people cheat alittle sometims?